The Kansas Manufacturing Council or KMC is the leading advocacy organization for Kansas manufacturers and companies serving manufacturers, representing small and large manufacturers across the state. The mission of KMC is to provide knowledge, resources and support in order to create a stronger and more prosperous manufacturing sector. Through the Kansas Chamber, KMC has a powerful voice for the state’s manufacturing community to advocate for a policy agenda that helps manufacturers compete in the global economy and create jobs across Kansas. Our outstanding staff of policy experts provide unmatched access and information on the key issues affecting your business and bottom line. We are on the front lines of a wide range of policy battles, from immigration reform and labor relations, to energy and the environment, to trade policy and taxes. At every turn, we are working on behalf of manufacturers in Kansas to advance policies that help manufacturers do what they do best: create economic strength and jobs. Connects manufacturers with exiting military personnel through the Military to Manufacturing Project with the Manufacturing Institute. Conducts in-depth research on issues important to Kansas manufacturers, such as skills gap research with the Brandmeyer Center for Applied Economics at the University of Kansas University School of Business. The Kansas Chamber is the state affiliate for the National Association of Manufacturers (NAM). As the state affiliate we know the importance of sharing pressing information and issues and having your voice heard. For more information on the National Association of Manufacturers, click here. Established in 2005, Dream It. Do It. is an unique national network of professionals dedicated to engaging, educating, and employing today’s students in high quality manufacturing jobs, while educating career influencers like parents and educators about modern manufacturing. The initiative offers local manufacturers, schools, community-based organizations and other stakeholders the opportunity to partner with a respected national platform to promote manufacturing as a top tier career choice in the United States. Dream It. Do It. Kansas offers support through the use of customizable marketing materials (web content, scripts, flyers, etc.) and a robust support network. Once logged in, KMC members have access to a wide range of resources. Best of all, there are no fees to your organization thanks to the complimentary subscription provided by the Kansas Chamber and Spirit AeroSystems. KMC has partnered with NAM to provide its members a discounted subscription to the Manufacturers Marketplace. This robust directory is by manufacturers, for manufacturers, connecting small and large manufacturers in every industrial sector with a comprehensive search capability to connect and engage with companies that will meet your unique supply chain needs. You may review this benefit at https://manufacturersmarketplace.us/. Contact the KMC to start your discounted subscription at KMC@kansaschamber.org. The Heroes MAKE America program is a full-time, 10-week career skills training program that will arm service members transitioning out of the military with the skills needed to find a rewarding career in manufacturing. Learn more about the program here. It’s no secret workforce development is key to Kansas businesses. That is why the Kansas Chamber joined the ACT State Council and is partnering with ACT Work Ready Communities (WRC). 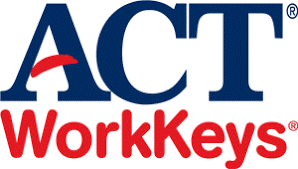 As part of the effort, 11th grade Kansas students take the ACT WorkKeys National Career Readiness Assessment to measure essential workplace skills in several areas, including problem solving, critical thinking, and written communication to work related problems. The students receive a rating certificate on their workplace readiness and recommendations on areas of improvement. WorkKeys also is available to those currently in the workforce and those looking to enter the workforce. The program unifies educators, employers, workforce/economic development, and community leaders on common goals for workforce supply and demand that boost outcomes for all involved. To learn more, visit the ACT website here. The Manufacturers’ Accountability Project (MAP) will set the record straight and highlight the concerted, coordinated campaign being waged by trial lawyers, public officials, deep-pocketed foundations and other activists who have sought to undermine and weaken manufacturers in the United States. 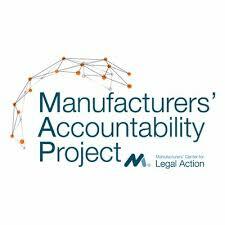 The MAP is a project of the NAM’s Manufacturers’ Center for Legal Action (MCLA) which serves as the leading voice of manufacturers in the nation’s courts. The MCLA engages in a proactive legal strategy to advance policy objectives and advocate for strategic manufacturing interests. The MCLA team works to rein in regulatory overreach, protect hard-fought legislative gains and ensure a level playing field for manufacturers. Click here to learn more about MAP and its efforts. 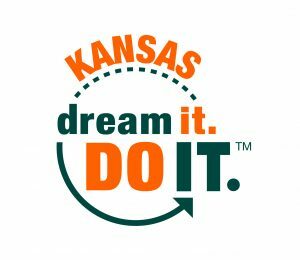 This new event is led by the Kansas Manufacturing Council, in partnership with the Kansas Department of Commerce. Click here to register for the summit. An Early Bird rate of $35 per attendee is available until August 28th. After that, registration will be $50 per attendee. Join thousands of manufacturers across North America as they open their doors to show the public what modern manufacturing looks like and inspire the next generation of skilled workers. 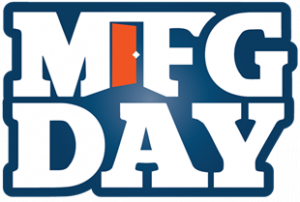 This year, the official date for Manufacturing Day is Friday, October 5, but any day can be MFG Day. How you participate needs to work for you, so feel free to choose when you host your event! You can learn more at www.MFGDay.com. To help combat the gender gap in manufacturing, The Manufacturing Institute launched the STEP Ahead initiative in 2012 to showcase the impact of women in science, technology, engineering and production (STEP) careers. The STEP Ahead Awards highlight the achievements of real women in manufacturing who have demonstrated excellence and leadership in their companies and communities, on a national stage with a formal gala. Add your voice to the Kansas Manufacturing Council. Contact the KMC team at KMC@KansasChamber.org.